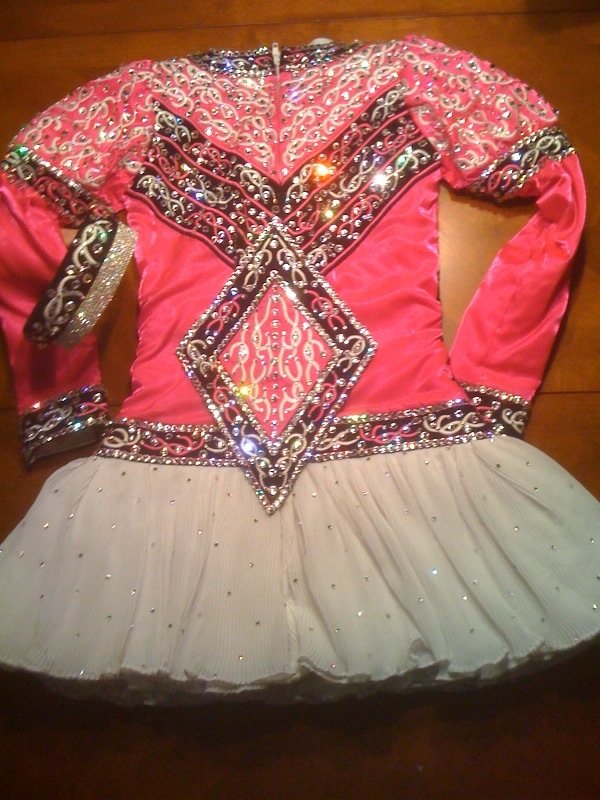 Gorgeous pink fuschia/white/black dress made by Avoca Celtic Designs for Western Region Oireachtas 2011. Fits slim 10-12 year old. Vibrant fuschia sparkle satin with black velvet criss-cross applique with fuschia and white embroidery. 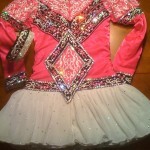 Absolutely COVERED in THOUSANDS of Swarovski crystal rhinestones in various sizes. Soft skirt is five layers of tiny-pleated white chiffon fabric–studded with tiny Swarovski crystal rhinestones. 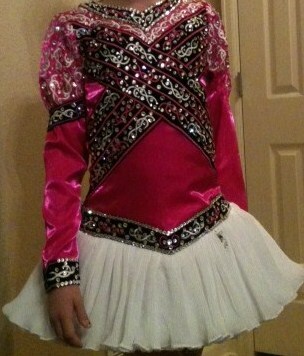 Skirt is light and flouncy & dances just beautifully! Includes attached crystal number holder, beautiful diamond-shaped cape (also heavily rhinestoned! ), and double layer headband (traditional velvet/embroidered barrel headband with attached solid rhinestone headband). Princess sleeves are puffy at the top with tighter velvet band and are close fitting down to the cuff–makes for a neat and clean look on stage. 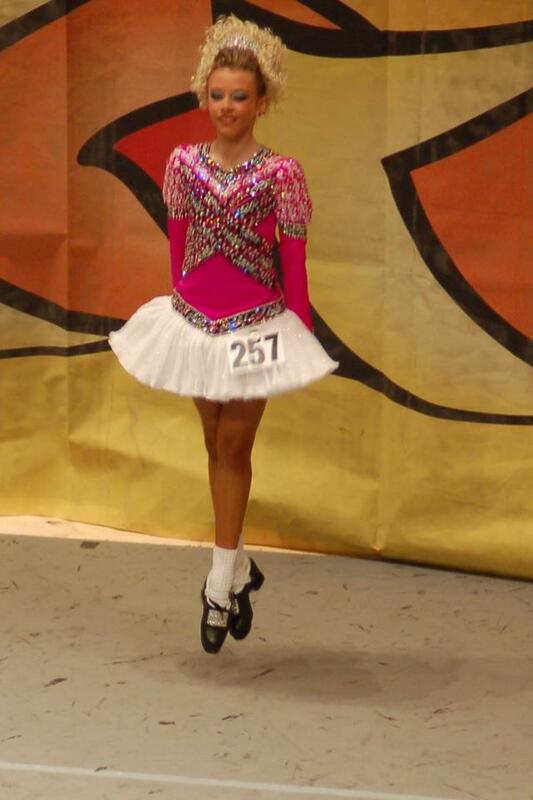 Dress is unique and breathtaking–it looked perfect on the Worlds stage in Belfast this year!! Dress is in EXCELLENT used condition–very, very light discoloration on the hem of the underskirt & the inside of the neckline. I don’t see anything else that is noticeable from a short distance away.